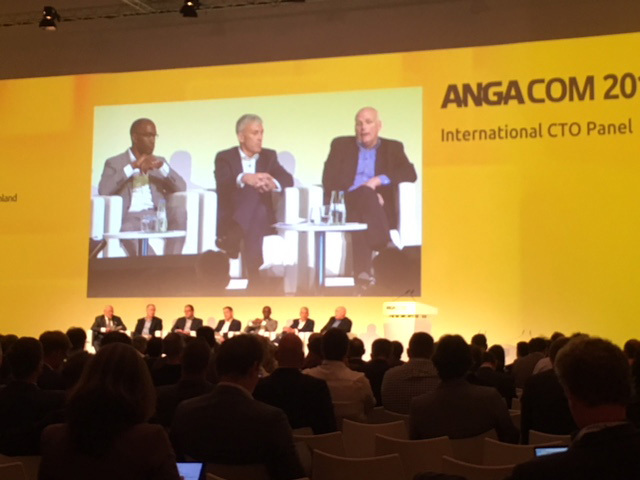 German cable operators are adopting a variety of measures to deliver higher-speed services to consumers and businesses, including bandwidth reclamation and selective deployment of fibre, according to a panel of senior technologists speaking at the ANGA COM event in Cologne. Vodafone Deutschland last year announced a Gigabit offensive to cover a quarter of German households with Gigabit speeds by 2020. Eric Kuisch, CTO at the cable and mobile operator, said that the existing Vodafone network in Germany was capable of supporting Gigabit speeds. He said the offensive would be aided by analogue cable switch off and the rollout of higher speed services will track that process from area to area. Kuisch said that Vodafone was seeing increasing demand for higher speed broadband from its enterprise customers and was investing in fibre to target that market. “We decided to upgrade speeds for our enterprise customers,” he said. The company is proactively rolling out fibre to business parks and areas where enterprises are located to build its enterprise customer base. Kuisch said that managing the perception of customers and ensuring a quality of experience was just as important as offering top-line speeds in order to retain customers. Perceptions about services could also depend on extraneous factors such as the quality of the PC owned by the consumer, he said. It is therefore important for operators to monitor the devices in the home in an anonymised way and ensure that end-to-end quality is delivered to consumers. 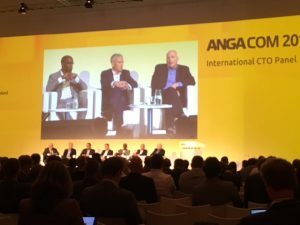 Kuisch said that operators have to tap into maching-learning technology to provide a properly managed network. Speaking on the same panel, Tele Columbus CTO Ludwig Modra said that Tele Columbus was facing similar challenges in delivering higher speeds. Exponential growth in demand for speeds in excess of 500Mbps downstream means that cable faces a real challenge, he said. Also speaking on the panel, Charles Cheevers, CTO, CPE solutions at Arris, said that delivering “Gigabit bursts” rather than sustained Gigabit speeds presented the best near-term opportunity to leverage HFC networks. Moving from DOCSIS 3.1 for Gigabit bursts to enterprise-quality Gigabit services and delivering symmetrical speeds while pushing fibre closer to the home were longer-term goals, he said. Cheevers added that in-home connectivity was often the forgotten but highly important part of bringing Gigabit services to consumers. “When we talk about Gigabit services we have to talk about right to the device and service quality,” he said.